If any of those is you, this post is for you! What is a First Look session? 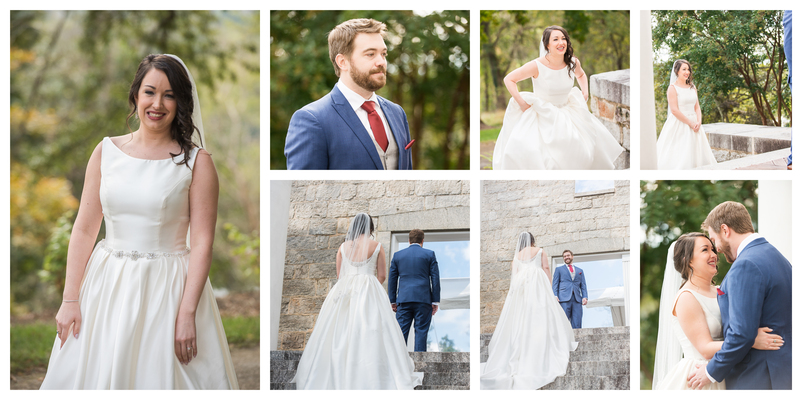 It is when a photographer, together with the bride and groom, create a staged but authentic scene somewhere near the ceremony or reception venues, or nearby locations, whereby the groom “sees” the bride for the first time. 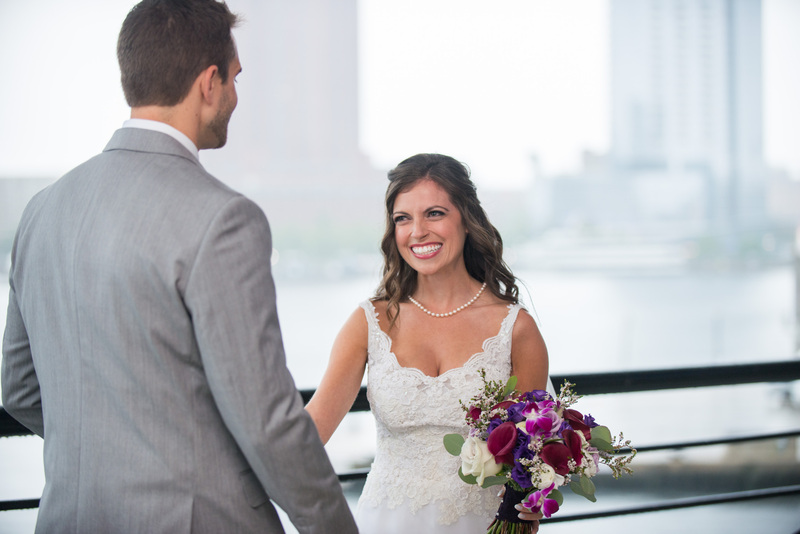 While this has traditionally occurred at the ceremony (e.g., when the bride walks down the isle), more often with the Millennials the notion that it is “bad luck” to see each other on the wedding day before the ceremony is no longer an accepted construct. Arranging for a First Look “forces” the entire bridal party to get ready earlier. This is great when you have people who take their time and drag their feet. It gives you margin with time which is a precious commodity on your wedding day. It can be more personal and more intimate. Do you and/or your soon-to-be spouse struggle with the thought of having hundreds of eyeballs fixed on your emotional reaction? A modern first look may be your new best friend. Not only can you decide who (if anyone) will be watching when you two see each other the first time during your wedding day, but you can have a moment to yourselves to connect and relax. Now, maybe you really want your soon to be spouse to cry as you come down the aisle. But, the truth is, some men (especially men) don’t feel comfortable expressing emotion in public. The modern first look is a great way to limit it to a small group of family and friends. And, it’s not uncommon for brides and grooms to still cry when she walks down the aisle–even if there was a modern first look! You two spend more time together throughout the entire day! Since you get to see each other (instead of avoiding each other), that means you don’t just get to spend the ceremony and reception together. You get to spend possibly hours of more time together. Without a First Look session, its not always easy or guaranteed that good photos of the precious reactions of both the bride and groom are captured. A well planned and staged First Look session assures you that a beautiful location is selected (with great backdrops), both the bride and groom are near each other, and the bridal part and immediate family could participate (to inject excitement into the event). Immediately after the First Look session, more creative photos are staged and created because time is on our side. Normally, I, along with my assistant (second photographer) will arrive about 3+ hours before the start of the ceremony to capture Getting Ready photos as well as First Look photos. It is vital that we create stunning, memorable, and creative photos and portraits for your wedding – to do so, time is needed. So starting early is always recommended. We can remain near the venue or travel close by to a nearby location that provides stunning backdrops and views for your once-in-a-lifetime event. Doing so in between the ceremony and reception is not usually possible. Also after the First Look and bride and groom portraits, we’ll have time to create serious and fun photos of you and your bridal party. Again, this is usually more difficult during the cocktail hour. I can’t tell you how many times the bridal party finds itself complaining and itching to get to the cocktail hour to grab some food and drinks. Forcing them to stick around for portraits isn’t their favorite thing to do. Getting all these photos done before your ceremony affords you and them to catch most of the cocktail hour. Believe me, this makes everybody happy! Often I am told by (usually) brides, “I really want to see him react organically when I walk down the isle, and I’m afraid, if we do a First Look session, that he won’t react with the same emotion when I walk down the isle.” Okay, I get it. I totally understand your concern, but as far back as I can remember this really never becomes an issue and here’s why: It’s our collective hopes that he (and you) react emotionally when you do your First Look, so much so that it helps me create wonderful photos and memories for you. This is normally the case. But I am here to tell you that when you walk down the isle (with your dad?) at the start of the ceremony, and he sees all your guests rise and stand up, and the music starts, and he and his posse are standing at the front of the venue, he will almost certainly be overwhelmed by your beauty and the grandness of the moment that he will internally well up with emotion, and hopefully show some of those smiles and tears too! So if you’re worried that this might not happen if you do a First Look session, think again! Assuming you elect to do a First Look session, all you have left to do during the cocktail hour is some portraits with the grandparents, uncles/aunts, etc. The list is shortened and again as I’ve said, allows the entire bridal party to enjoy part of the cocktail hour, catch their breath, touch up hair and make-up, and more fully prepare to enjoy the remaining several hours of festivities. Remember, by removing the stress of many portraits in a small window of time (the cocktail hour), the bride and groom will likely be more candid and happier in the photographs. Happy couples make for better pictures! 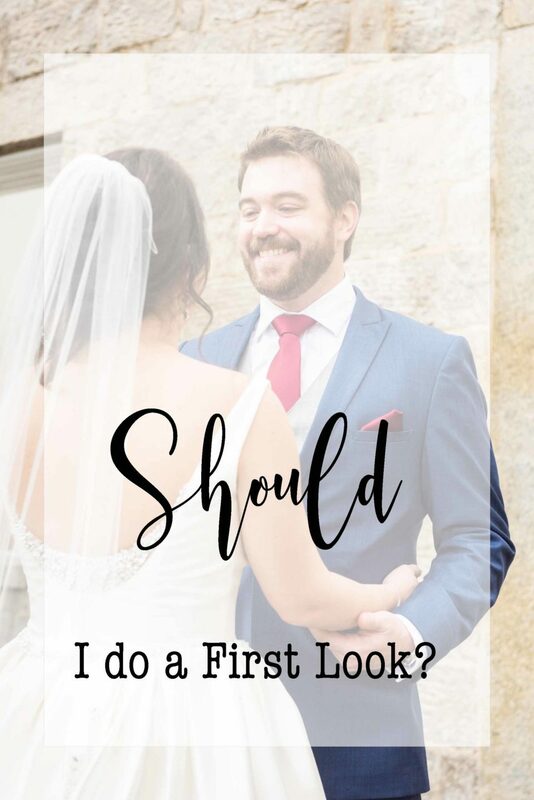 Have I convinced you to do a First Look session? If so, great! Be sure to tell me! If not, no worries. I will work with your concepts and expectations. Now where is my drink? !